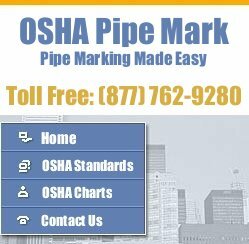 Your source for information on pipe marking according to OSHA, ANSI and ASME regulations, gas pipe labels, BS4800 custom signs and more. Learn how to do pipemarking on defrost condensate pipes, high temperature recirculated liquid pipes and relief vent pipes. Get compatible duralabel supplies, TSC thermal transfer printers that outperform kroy label makers and brady label printers. 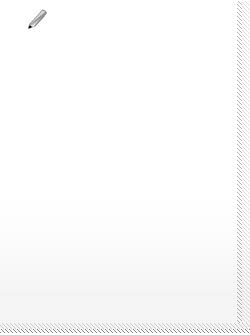 ASME A13.1-1996 regulation, OSHA compliance and ANSI codes can all be confusing. Let us help you understand the best way to create custom vinyl pipe lables for your gas pipes, defrost condensate, high temperature recirculated liquid and relief vent jobs. Learn how to comply with BS4800 standards, and conform with pipe marking regulations for IIAR compliance. We can also help with hazard class labeling, condenser pipe marking and more. 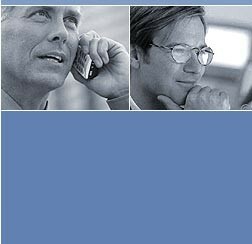 Remember, we are your source for discount compatible duralabel supplies, as well as TSC vinyl label printers that outperform kroy label makers and brady label printers. 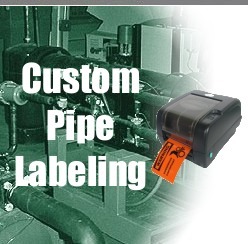 If you need a pipe marking printer or labeler for custom pipe marking jobs, contact us today.